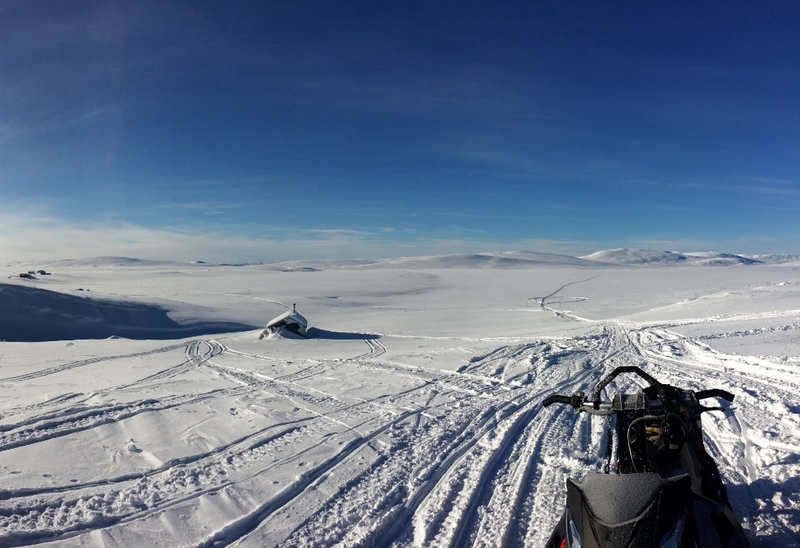 On this long snowmobile tour you travel by through several different countrysides and landscapes. 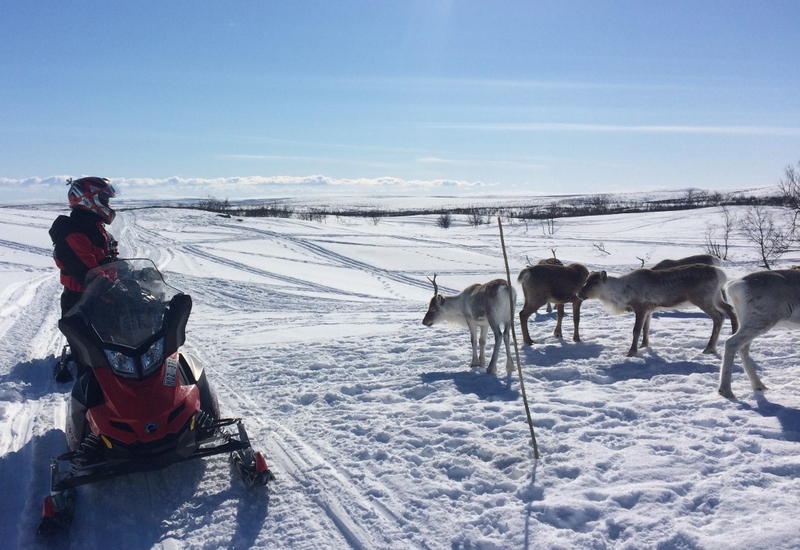 All the way from the huge forest areas around Kiruna, to the rough and windy high tundra regions in the north west. Get a deeper feeling for this borderless, snowy scenery and travel through areas that can just be reached in wintertime. Experience how the different snow and trail conditions will challenge your driving skills from day to day! Your accommodation on this tour will be mostly in simple cabins, some of them provided with electricity, but all of them without running water and very cozy. In almost all of these cabins you can enjoy the great relaxation of a hot sauna after a long day in the cold! 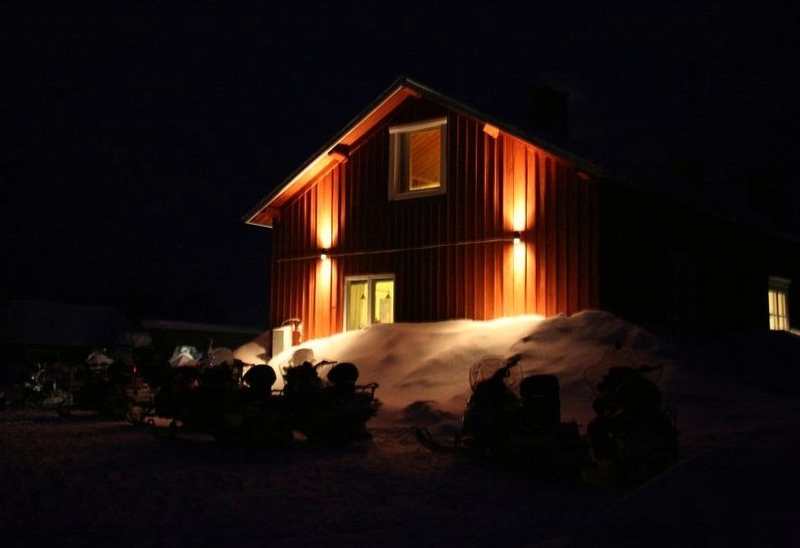 Day 1: We will pick you up from Kiruna/Airport and bring you to our homebase „Mushers`Lodge“,about 15 km from Kiruna. Here your guide will give you all the concret details of the trip, and go with you through the itienery. Here we will provide you as well with all the necessary equipment. Dinner and overnight. 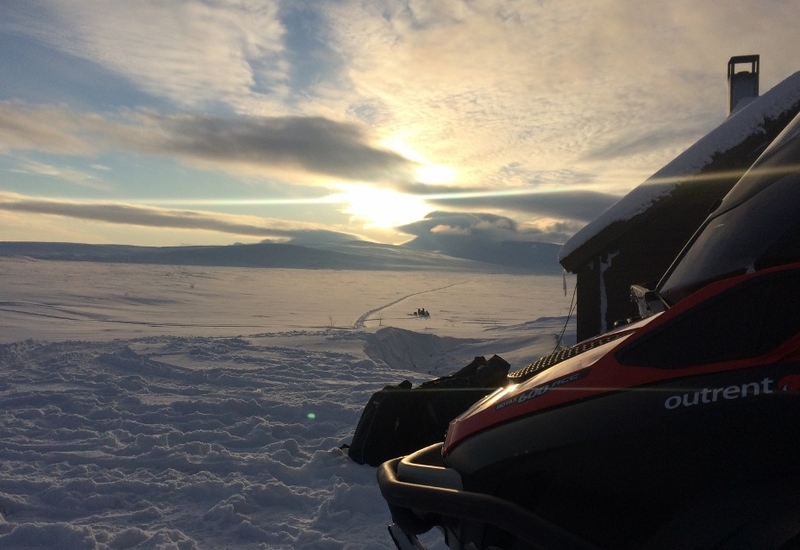 Day 2:After breakfast you will get all the important security and operating instructions about handling snowmobiles.Then you will start your tour with a long 90 km ride to the beautiful wilderness lodge „Lappesuando“ which is located south of Kiruna, between the two rivers Kalix and Kaitum. This route will give you a first glimpse of the sheer size and beauty of Laplands forest areas with countless frozen rivers and lakes. 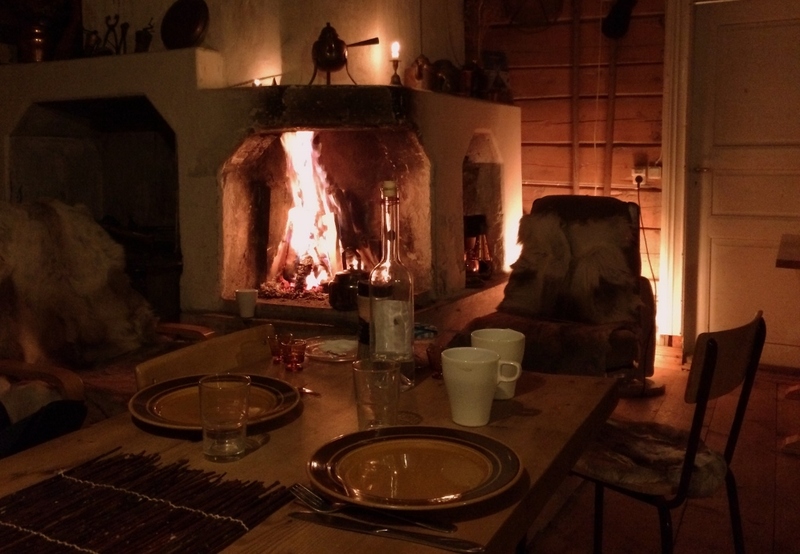 Overnight in small cabins. Here you have the chance, to try your luck in ice fishing before dinner. Day 4: Today we will head north, towards „Övre Soppero“,a village mostly populated by samis, where we will spend the night in the lodge of some sami-friends of us. The distance there is app. 75km. After having a later lunch at our destination for the day, there will be the option for another run in the afternoon to a nearby mountain, which offers a spectacular view over the area arround Soppero. Day 5: From Soppero we will continue our tour over „Järämä“ to the mountain destination „Kamasjaure“. This day will be app. 120 km long and the trail will lead us first through vast, hilly birchtree areas but then heads higher up above the treeline to the high-plateaus of the tundra. 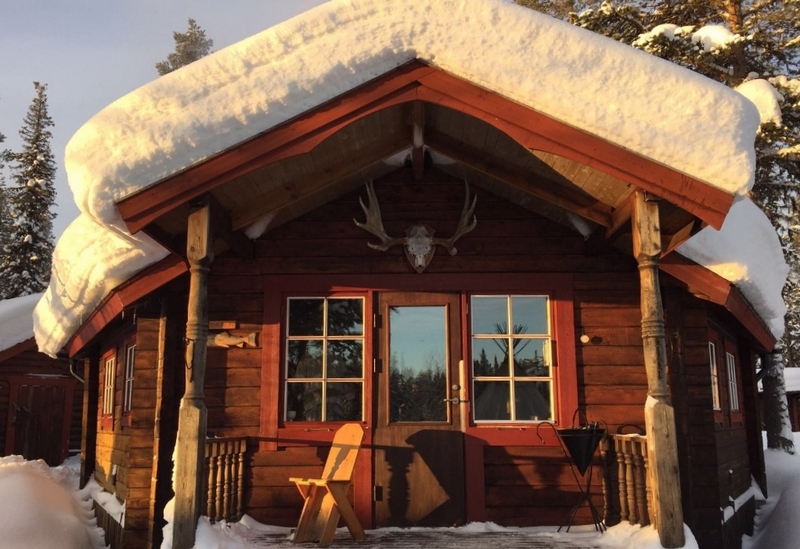 We will spend the night in a basic cabin with a fantastic view towards the norwegian mountains! 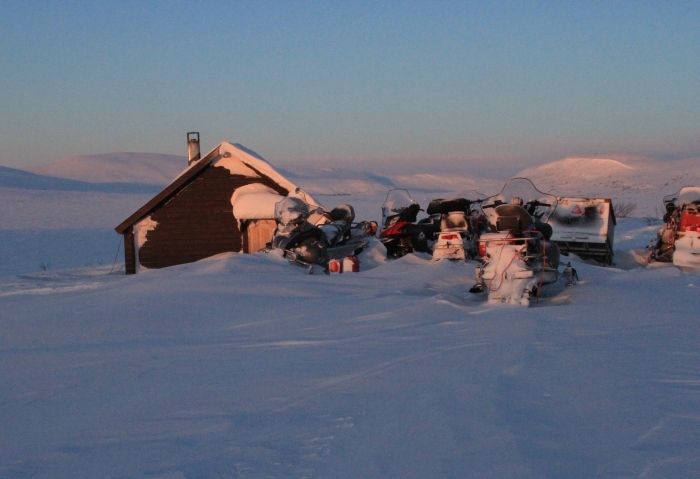 Day 6: Back to our homebase „Mushers Lodge“ along a long chains of lakes and the Torne River. ( app. 100km). Depending on our arrival time you have the possibility to visit the famous Icehotel in the afternoon. General information: The minumum age for this tour is 18 years and a valid car or motorbike drivers licence is necessary. Every guest will drive his own snowmobile. In case of damage we have an excess fee from up to 6.000 SEK! Our scheduled departures and prices you find under"Dates and Prices"
Additional departures for groups we offer on request - please contact us!